If you’re anything like us, it feels like 2019 is already in full swing. But before we get too deep into a new year, we wanted to take a minute and address what’s next here on the Winmo blog. Dedicated readers will know that the Winmo blog has always been chock-full of educational, value-add content for new business professionals; that’s not going anywhere — just the opposite, in fact! In 2019, the Winmo blog is going to deliver even more timely, actionable new business development news and information, but in fresh and exciting formats. From the recent introduction of our weekly #EDGEucation series (featuring four white-hot leads for the agency, media, adtech, and sponsorship industries), to the launch of our new lead-heavy podcast, Win More, we believe that the Winmo blog is quickly becoming a new business information hub. Guiding our ever-growing content initiatives is one central theme: The Closer. If you’ve had the chance to visit a Winmo booth at trade shows like FestForums or ANA Masters of Marketing, you’ve probably seen our highly coveted “I’m a Closer” hats and totes. This year, we’re expanding on our #ImACloser hashtag and swag by creating content that elevates and celebrates the Closers in our community. Who’s a Closer, you ask? Put simply, a Closer is a new business professional who’s looking for strategies, tips, and resources that make achieving lofty goals more attainable. A Closer is focused, motivated, and invested in delivering exceptional new business results. A Closer closes big deals and exceeds expectations. Frankly, you’re probably a Closer! Truthfully, the Winmo community is one of Closers; it’s what makes features like WinmoTalk so valuable and conversations among clients so resonate. 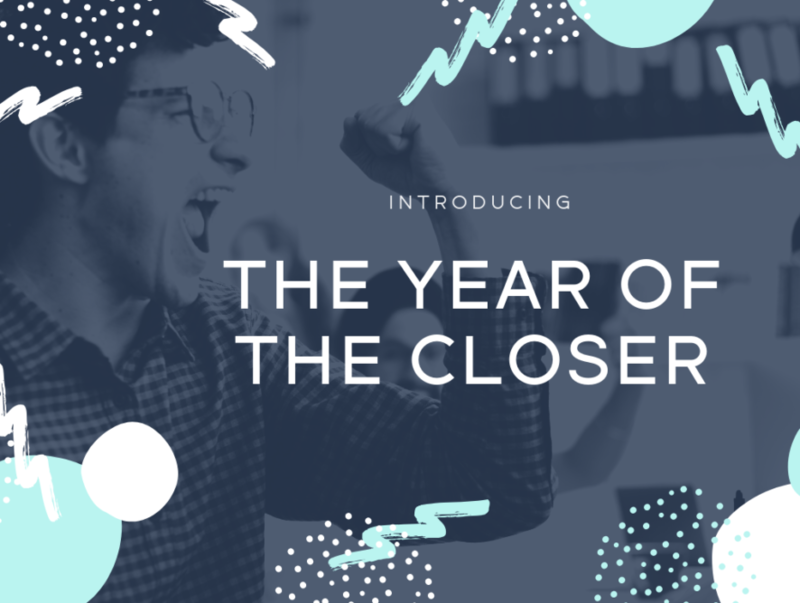 We’re focusing on Closers this year because we’re deeply invested in putting our proprietary data, prescient lead tips, and accurate, timely information in the hands of those that most need and use our insights. We’ve always wanted you to grind less and sell more; this year, we’re committed to finding new ways to do that. We hope that you, our Closer community, will use our content to close more deals. And what naturally comes with more wins? More celebration. In that spirit, we want to know when you close your next deal. At the very least, you need an #ImACloser hat (you’ve gotta let the people know). So please, send us an email, LinkedIn message, or carrier pigeon when your next deal closes! Consider this blog a formal decree: 2019 is The Year of the Closer. We’re ready for big things, and we expect that you are, too. Our Monday #EDGEucation report, a must-reference opportunity guide. A new agency-focused eBook, CMOs to Target: Q1 2019, including names, numbers, and live-linked direct email addresses. An eBook highlighting seven brands in media planning-mode! Ditto on the names, numbers, and live-linked direct email addresses. A little inspiration in the form of a new blog featuring eight tips to help your work on your new business form and get back to best practices.